Bimal Gurung (left) and Roshan Giri in file photographs. 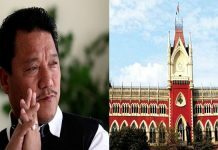 Siliguri: In an interesting development, Gorkha Janmukti Morcha (Gurung faction) has announced “wholehearted support” to Trinamool supremo and Chief Minister Mamata Banerjee for a permanent solution to the autonomy demand in Darjeeling. This came on a day the CPI-M Darjeeling district committee told a news conference in Siliguri that it is in favour of the “highest form of autonomy” for the Hills and that, it wants to unite all anti-BJP and anti-Trinamool forces for the coming Lok Sabha polls. Roshan Giri, general secretary of the Gurung-faction stated in a Press release during the day that he has written to the Chief Minister welcoming her recent announcement about reviewing the Gorkhaland Territorial Administration (GTA) agreement to find a permanent solution to the demand for autonomy in Darjeeling. This comes even as Gurung faction has been at loggerheads with Banerjee’s government since 2017. Both its president Bimal Gurung and Giri himself have been into hiding for over a year now to evade arrest by Bengal police on charges of violence, arson, bomb blasts in the Hills in 2017. 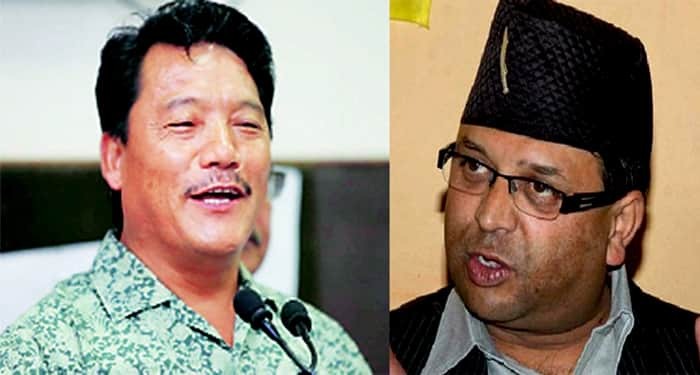 Taking advantage of this, Banerjee’s government has appointed Binay Tamang and Anit Thapa, two dissident leaders of the GJM at the helm of the semi-autonomous GTA. Moreover, the state government has been holding discussions with GJM (Tamang faction) only completely ignoring the Gurung faction. “I have, therefore, sent her a letter extending our wholehearted support to any such initiative aimed at resolving the long pending demands of our people, and I have assured the Chief Minister of our willingness to join any talks and discussions regarding the same,” Giri has stated. 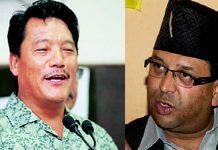 Interestingly, in the one-page Press release, Giri has not spared even a word on Bimal Gurung and has not also clarified whether he wrote to the CM after consulting him. 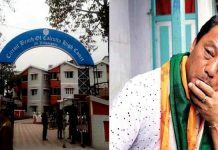 CPI-M state committee member and Siliguri MLA Asok Bhattacharya, on the other hand, told a news conference that the party district committee has adopted a resolution demanding 6th Schedule status for Darjeeling and, calling for the withdrawal of all police cases of political nature lodged against GJM leaders. “We want to unit all the anti-BJP and anti-Trinamool forces for the Lok Sabha polls in Darjeeling seat. We are open to hold talks with all political forces and entities in this regard,” Bhattacharya said.